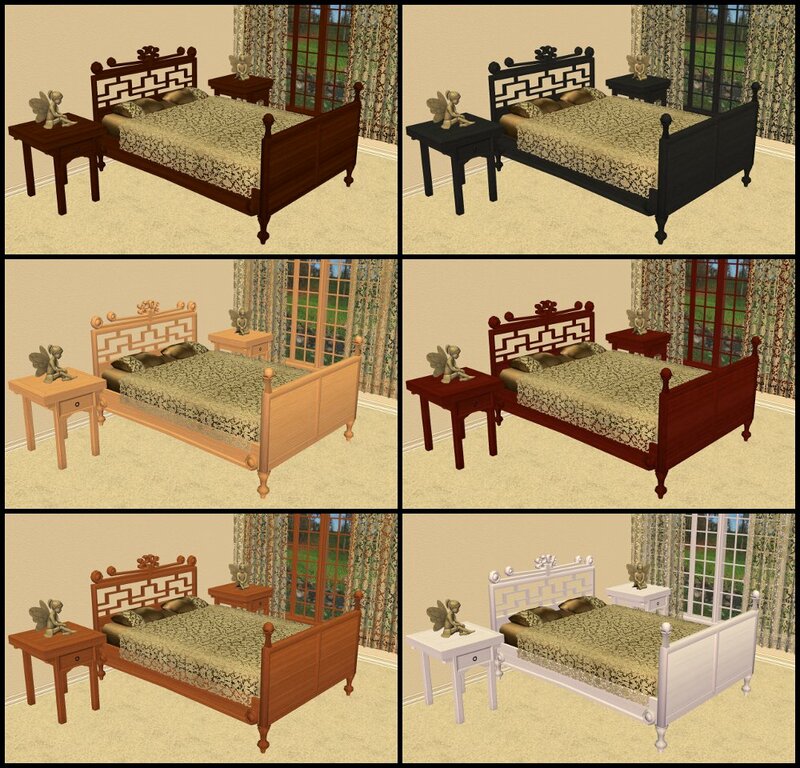 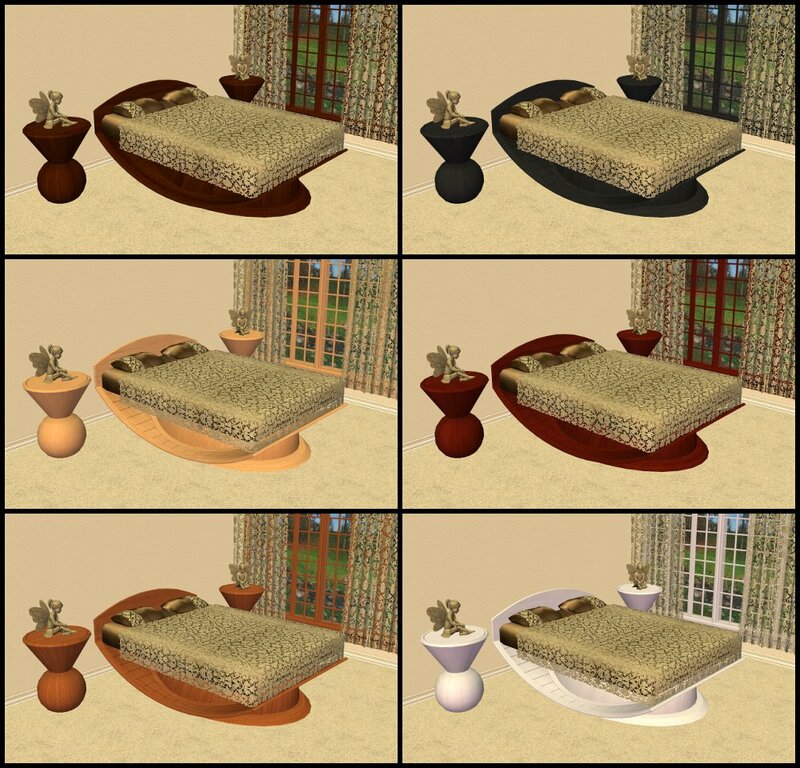 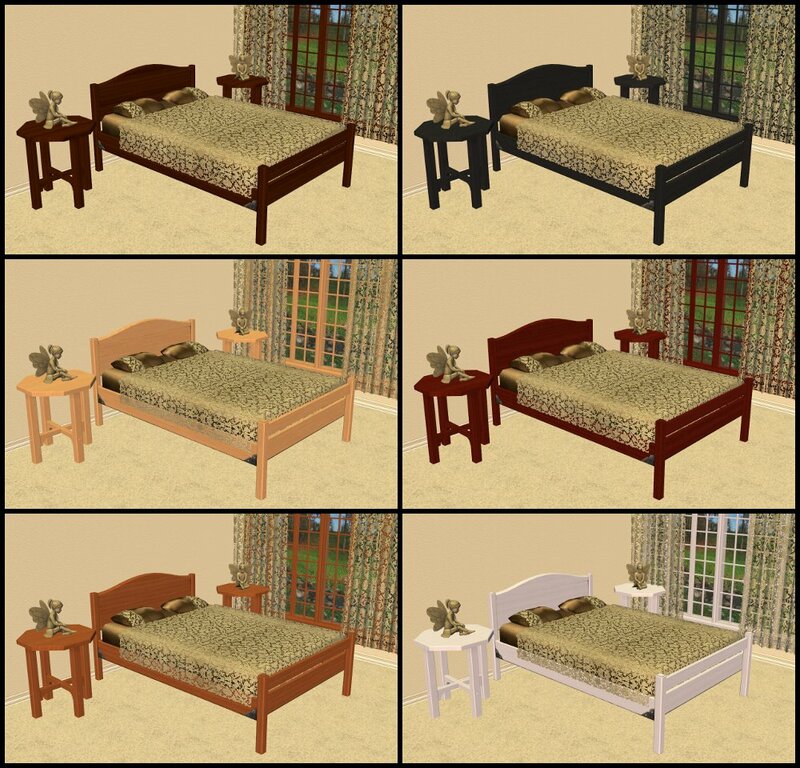 7 base game double beds in AL wood colours, to match my other base game recolours. 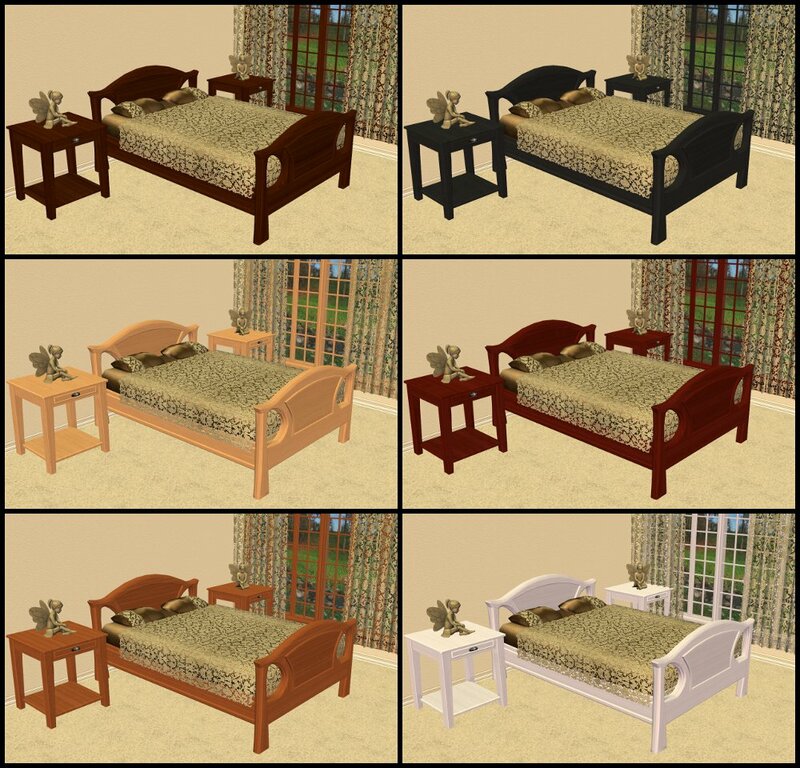 Many thanks to amythestfenix for the 3 extra wood colours. 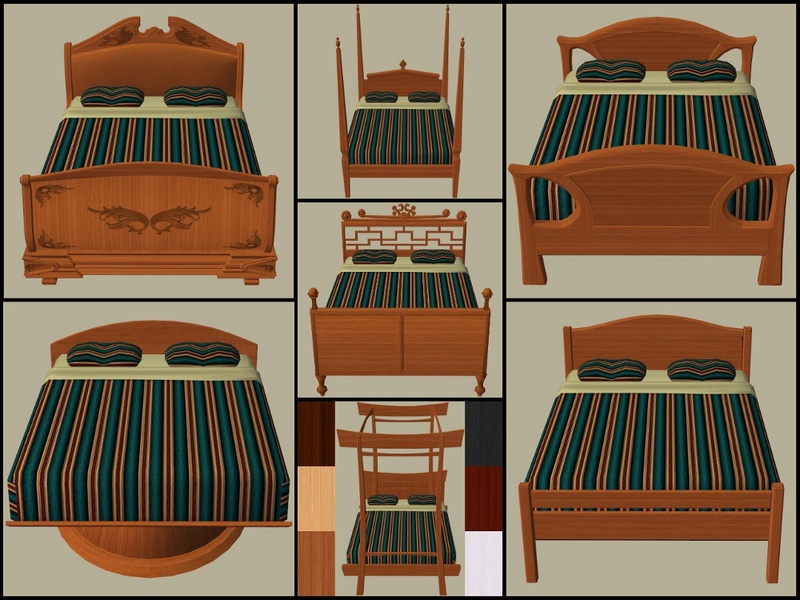 Cost: Cheap Eazzzzze Morrissey Double Bed - §450, Courtly Sleeper Day Dreamer - §700, Zenu Meditation Sleeper - §950, Touch of Teak Bed - §1,800, #4234 by C.Lee Funkensnooz - §2,200, The Soma Sleep Well - §2,600, Colonial Ironwood Bed - §3,000. 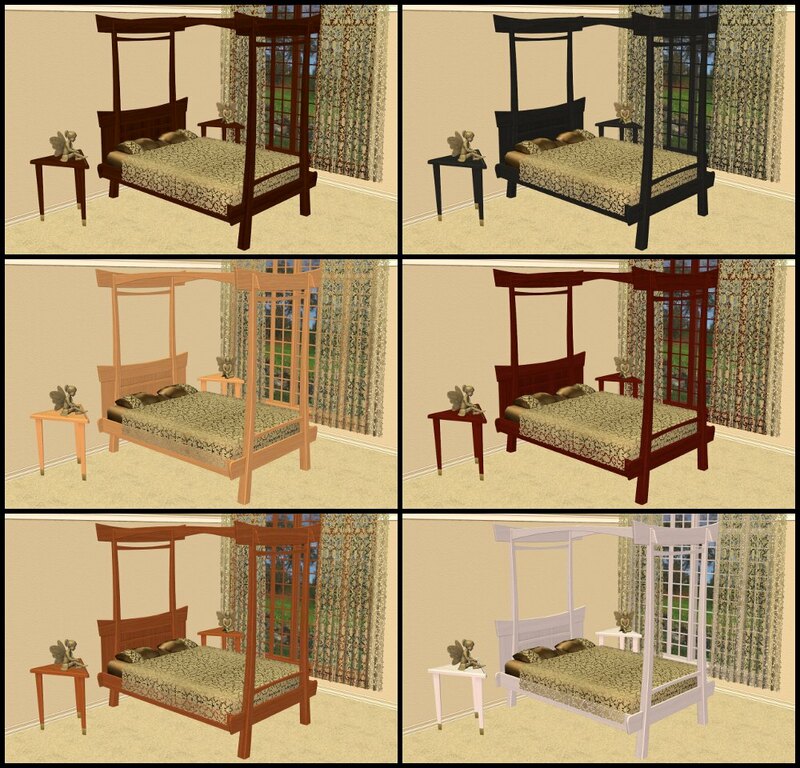 Objects used in my screenshots: Walls, Curtains and Bedding by Droopsi, Craftsman Window Set by tbudgett, Striped Bedding and Small Gold Fairy by me not available. Droopsi and tbudgett for the CC used in my screenshots. 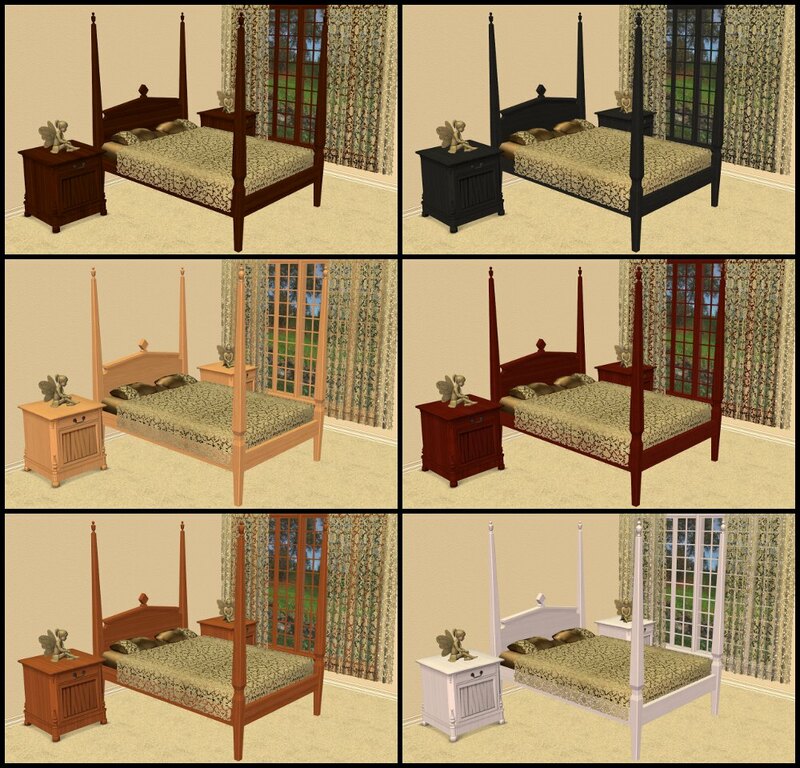 Tags: #Bed, #Double, #Double Bed, #Beds, #Bedroom, #Cheap Eazzzzze Morrissey Double Bed, #Courtly Sleeper Day Dreamer, #Zenu Meditation Sleeper, #Touch of Teak Bed, ##4234 by C.Lee Funkensnooz, #The Soma Sleep Well, #Colonial Ironwood Bed.